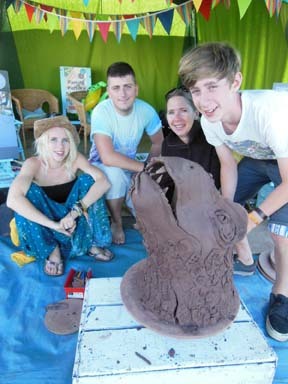 Collaborative clay fun at the Noztock Music Festival 2014. Brilliant festival, great vibe & fab music. Definately be back next year. A pheasant week at Eastnor Castle All tomorrows potters!